Wishing everyone a happy and enjoyable holiday time! We’ll be back on Friday. 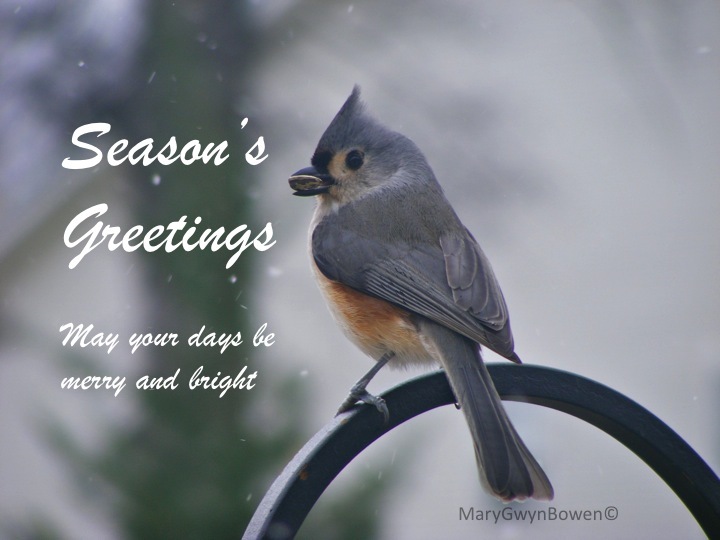 This entry was posted in art, birds, photography, Uncategorized and tagged Christmas and holiday season, Holiday greetings. Bookmark the permalink. Very best wishes to you too, enjoy your break and come back with Flash Fingers itching to start creating again! Happy New Year! My fingers have been in withdrawal!